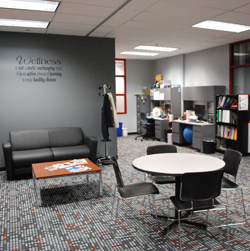 Campus Recreation offers a wide array of programs and services to meet your recreational style and preferences. We offer different Group Fitness classes including strength, cardio, dance, yoga, and cycle. Classes are offered throughout the week so individuals can find the classes that best suits their schedule. Click on the group fitness tab to view the full schedule. Our certified personal trainers can work one-on-one, or in a small group setting, to help you reach your personal goals. Climb, hike, camp, or kayak with on-campus or destination trips with Outdoor Recreation. Trips vary each semester, so be sure to check out some of our upcoming activities! Equipment for Outdoor Recreation activities can be reserved at Equipment Issue. Information about the Bike Share Program can be found by clicking here. Make a splash in our Indoor Pool, and enjoy some of the programs offered including beginner or advanced swim lessons. We also host special programs, such as the aqua obstacle course and dive-in movies. 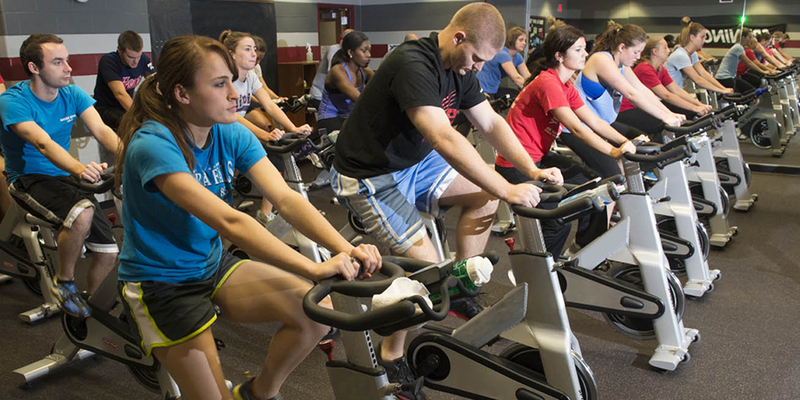 Have a suggestion for a Campus Recreation program? Contact the Recreational Programming Office at 618-650-3242.